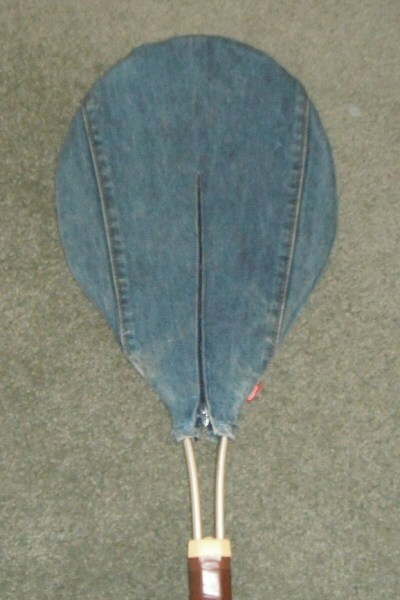 When my children were growing up, I cut the legs off their bluejeans and made shorts for the summer months. I saved the legs and made several things from them. 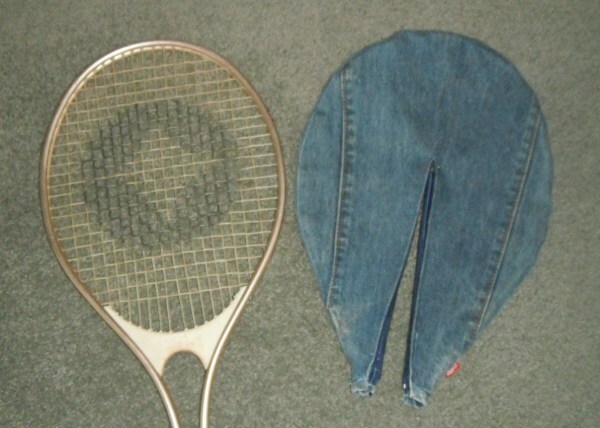 I remember one being a cover for the dog bed and another a tennis racket cover. I ran across the tennis racket when cleaning out the closet the other day. Bluejean material is tough and will hold up for years and years. This was made in the 80s. This is so cute! I actually thought it was wall art of a hot air balloon!